Blockchain technology is not just useful for creating digital currencies such as Bitcoin. It can also be used for things like tracking ownership, food traceability or voting rights. The blockchain is going to fundamentally change market structures and lots of people will build businesses on top of it. Welcome to a full-day conference that will explain why blockchains have the potential to revolutionise the world economy and disrupt many industries. Listen to experts, participate in the discussion and network in the center of the Swedish blockchain node. We are looking forward to meeting you on May 9th in Boden! Welcome to #blockchainnorth. Don't. Miss. Out! "Boden Type DC One" is trying to become the world's most energy-efficient data center. This newly opened facility is pushing the limits on how energy and cost-effective data centers can become. Blockchain North participants are welcome to a guided tour of the building, before the Blockchain North conference starts. There are 50 places for the study visit and it is on a first come first served basis. - Morning & afternoon "fika"
Everyone interested in blockchains and their applications. Optional: 08.45 - 09.15 Visit to the data center "Boden Type DC One"
At 8:30, a bus will take you from the conference to the data center. Optional: 09.45 - 10.15 Visit to the data center "Boden Type DC One"
At 9:30, a bus will take you from the conference to the data center. Please note that the program is subject to change, and will be updated continuously up to the conference. 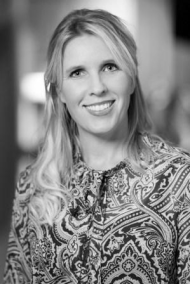 Sofie is one of the top 100 Women in Fintech, Fintech Advisor to UN, G20 and Edinburgh Futures Institute and author of the book Fintech Revolution. 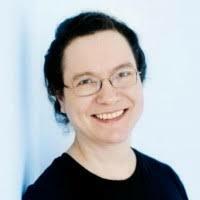 She is the founder and CEO of Hiveonline, offering microfinance opportunities in developing countries based on the blockchain, making the future a fairer place for the smallest businesses everywhere. Sofie has spent most of her career building banks, including the first online bank for UBS. Having worked for eight major international banks in everything from IT infrastructure delivery to business transformation, run programmes in 60 countries worth over USD 1bn, and supported startups, Sofie decided the last thing the world needs is another bank and hence hiveonline was born. For hiveonline, Sofie has been invited to speak at the World Economic Forum, G7 and G20 groups and World Bank/IMF Summit in partnership with UNEP, where she is an advisor on fintech applications to sustainable finance, blockchain, identity and trust. 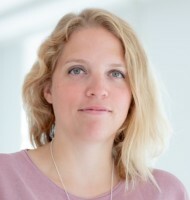 Sofie chairs the Climate Chain Coalition's SDG and Natural Capital Group. She holds an MSc in Informatics with specialisation in organisation design, behavioural economics and behavioural anthropology. Sofie’s has also written books, the latest being ”Fintech Revolution: Universal Inclusion in the New Financial Ecosystem” (Palgrave Macmillan, 2018). Sofie will talk about the journey with their financial inclusion product. Peter Altmann is a Senior Researcher in Digital Innovation at RISE (Research Institutes of Sweden) where he investigates how blockchain's technological potential links to economic value. He is focused on both guiding ongoing attempts to realize the technology’s potential as well as advising companies on the ways they could approach blockchains to generate and capture value. He is also a national representative at the European Blockchain Partnership, where he is part of the EBSI (European Blockchain Services Infrastructure) Technical Group, and part of the technical committee for the ISO/TC 307 standardization work on blockchains and distributed ledger technologies. Peter argues that there is significant confusion surrounding what blockchains are and what they can be used for. This is concerning since commercialization success requires knowing what can be done with the technology, what others are doing, and where the challenges and opportunities lie. The step toward such knowledge begins with the ability to assess a blockchain project's technical and commercial feasibility. Failing to do so can, at best, lead to expensive Proof of Concepts with limited benefits. In his talk, Peter Altmann presents insights and tools that aid in linking real-world problems with blockchain solutions. 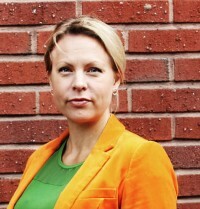 Lotta has spent most of her professional career in finance, mainly investor relations and M&A. After 20+ years at Ericsson, Lotta and Co-Founder Lal Chandran decided that it was time to take the technology and business learnings from the highly regulated telecom industry and put it to use in a wider scene. With iGrant.io, Lotta and team empower people to take control of their data and help organisations be transparent about how they are using it. By also putting the iGrant.io technology to the test at Arctic Chain Hackathon, iGrant.io is exploring additional use cases using technology for good. Lotta is going to talk about how blockchain can enable democracy 4.0. Most of us have an idea of what constitutes the principles of a modern democracy and even our rights, but how does the digital society challenge those principles? With numerous reports on fake news, data breaches and organisations selling personal data without the individuals consent the respect for peoples' privacy can be questioned. The new data privacy regulation shaping up, is setting the outer boundaries of how personal data can be collected and used but how is peoples' trust restored? We believe that organisations that are transparent in their data usage will gain the trust needed for people to say yes to sharing their data. With proper governance and efficient use of technologies like blockchain, the data asset can be leveraged to create enhanced services for the individual, bringing in trust and transparency in the way data is stored, processed and exchanged. Olov Schelén is an Associate Professor in Pervasive and Mobile Computing at Luleå University of Technology and the CEO at Xarepo AB. Olov has a long background from academia and industry in R&D on mobile systems and distributed systems providing scalability, high availability and durability for computation and data. Blockchain concepts and technologies are part of his teaching and research, in cooperation with industry. Olov is going to talk about ”Blockchain basics and energy efficiency” and explain how blockchains really works by using bitcoin as an example. Magnus Söderberg has been part of the game industry since 2010 when he founded the mobile game studio Triolith Entertainment. The company has released six games with the hit title MEGATROID featured on Google Play. He continued his work as a co-founder of Gold Town Games and worked with the release of the popular title World Hockey Manager. Magnus is also an active participant in expanding the game industry in the northern parts of Sweden. In 2018 he founded Triolith Games and is now spearheading the development of MEGATROID 2 and the blockchain platform the company is building. Andreas Johansson is an experienced leader and business developer, and has been building next generation technology platforms for over 20 years. He has worked extensively with leadership and management in different companies and projects, building on a variety of emerging technologies, from cloud technology and Mar tech to Iot and Blockchain. In addition to this he has also build up Sweden's first industry organization with a focus on Blockchain and DLT, The Swedish Blockchain Association. Triolith Games will present their company and platform they are building and how and why blockchain / DLT should be used in games. By enabling players to secure in-game assets to prove authenticity and ownership and safely transfer in-game items from one player to another, the technology can be used to prohibit illegal second hand market trade of in-game assets and incentivize fair play. 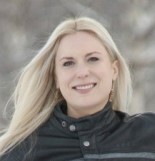 Inger Edlund Pedersen has years of experience of business- and regional development from various sectors ranging from mining, IT, tourism and computer gaming. She currently acts as business advisor at North Sweden Energy Agency, coaching companies within the green sector to develop further. Anders is the finalist in the award "Projectmanager of the year 2013" in Sweden. Anders was responsible for business development of data center establishments in The Node Pole region. Anders was the key contact for Facebook during their selection process and continues to oversee regional cooperation. Anders has extensive experience of marketing several industries on a regional and national level. Then we recommend you to stay at Hotel Boden Business Park. Would you like to participate in a hackathon? Do you want to be a partner or an exhibitor at the conference? 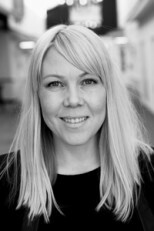 Please get in touch with Malin Winsa (below).